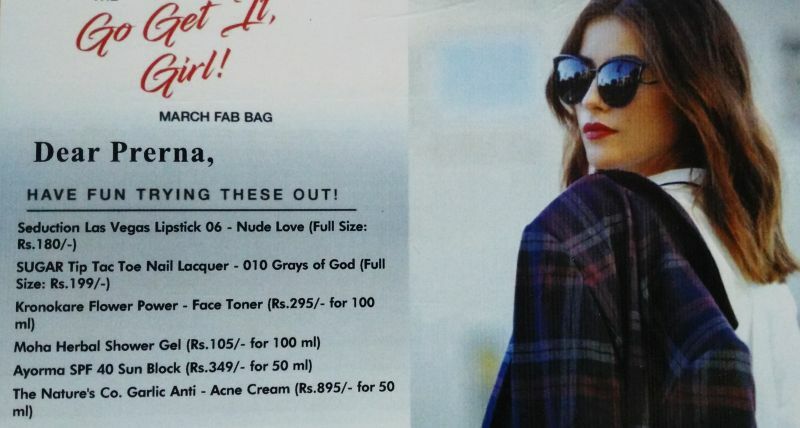 Hello beauties... know I am little late with this March Fab Bag 2017 Review, though it reached before time, but since I was outstation, therefore could not review, but its never too late for such amazing beauty products and this time its even better because this time there are 6 products unlike 4-5 and all are fab just like the Fab Bag. 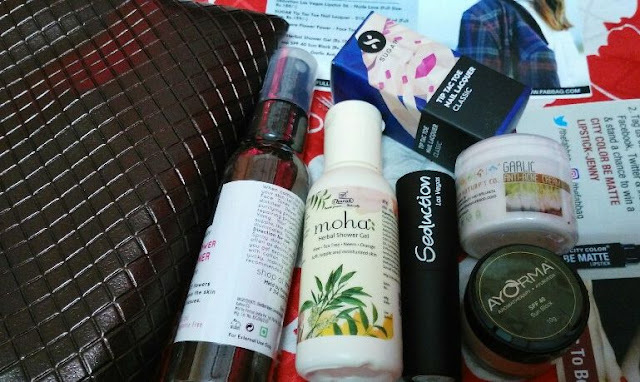 Let me give you a look at these amazing products in this March Fab Bag before moving on. Kronokare Flower Power Face Toner – Rs 295/- for 100 ml. 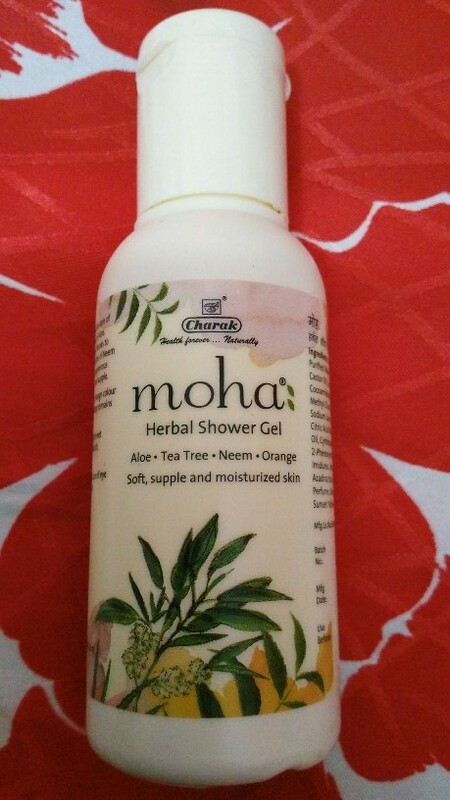 Moha Herbal Shower Gel- Rs 105/- for 100 ml. Ayorma SPF 40 Sun Block- Rs 349/- for 50 ml. This March Fab Bag comes in a beautiful brown classy shade with just a little sheen to it. The bag was little heavier this time than usual because of 6 products and all looks like coming at the right time. I just love their timing of products so much, and this is one reason, I never skip sharing my fab bag reviews with you every month. And this time there is no such favorite product or should I say all are favorite since I am loving all. This is a self chosen product and looks good with smooth swipe and descent pigmentation. The best part is that its a descently priced product with a smooth finish and plenty of beautiful shades to choose from. This one is a pink brown subtle shade for daily wear. As you all know I am not fond of nail lacquers too much because of my short nails but this one looks great even on my short nails and the application is super smooth, which makes the shade look even better. 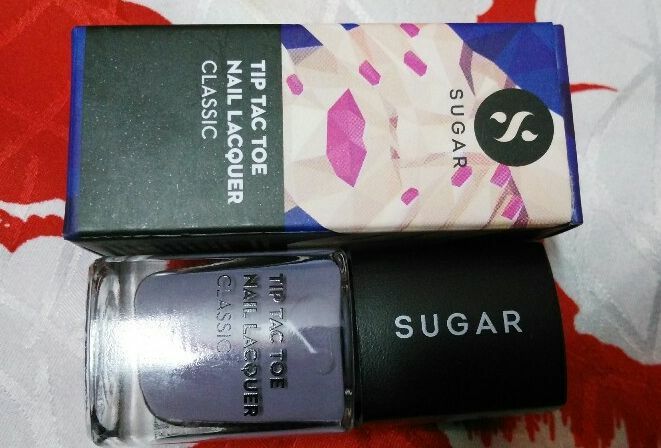 I am actually quite impressed with the quality of Sugar cosmetics products, their lip crayons were super smotth and so are these nail lacquers, though I didnt like their smudge me not liquid lipstick since I found it to be little drying, otherwise their quality is quite good. 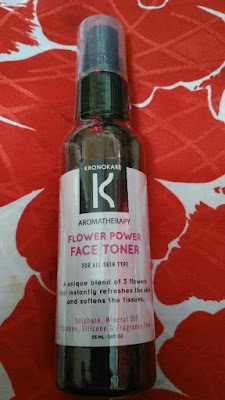 This product again comes at the right time since summers are on its way and thats when you cant afford to miss your face toner. The best part is thats its all natural and comes with a beautiful combination of herbal oils and is mineral, paraben, sulfate free, suitable even for sensitive skin. This again is a great herbal shower gel to deal with the coming summers and is full of amazing goodies like aloe vera, neem, tulsi, orange to take care of your tired skin giving a complete refresh feel keeping your skin soft and supple. This is one product which I am kind of waiting to try because firstly it comes with SPF 40, good enough for protection from ultraviolet rays and secondly its a herbal product, so I am waiting to see its effect on my skin because I would be glad to repurchase it over and over again as my regular suscreen if it suits my somewhat sensitive acne prone skin. 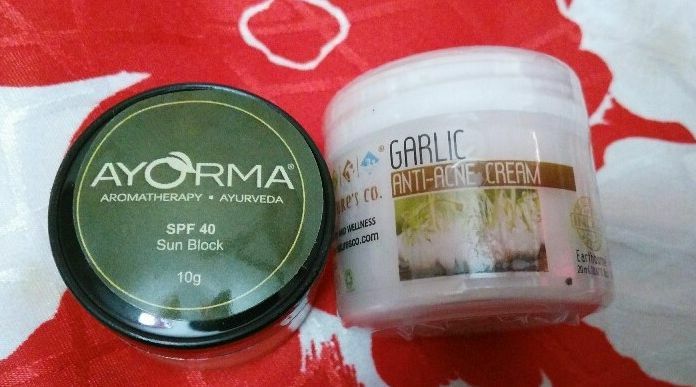 This Garlic anti acne cream is a unique product for me, since I have heard about wonders of garlic in treating acne but never tried on my own but this cream would be great to try on some of my stubborn acne. I am little doubtful if it will suit my sensitive skin since Garlic is quite strong but still I will try and share my experience with you all very soon. This was all about this month's March Fab Bag 2017 and its products. This time these are great in their own, with different variants. I hope you liked this review and after seeing my products, you too would want to have your own goodies every month and for that dont forget to subscribe to your own Fab Bag. Labels: Beauty, Cosmetics., FAB BAG, Fab Bag 2017 Review, Fab Bag March 2017, Makeup, Skincare. The mix of products in the March bag look really amazing.